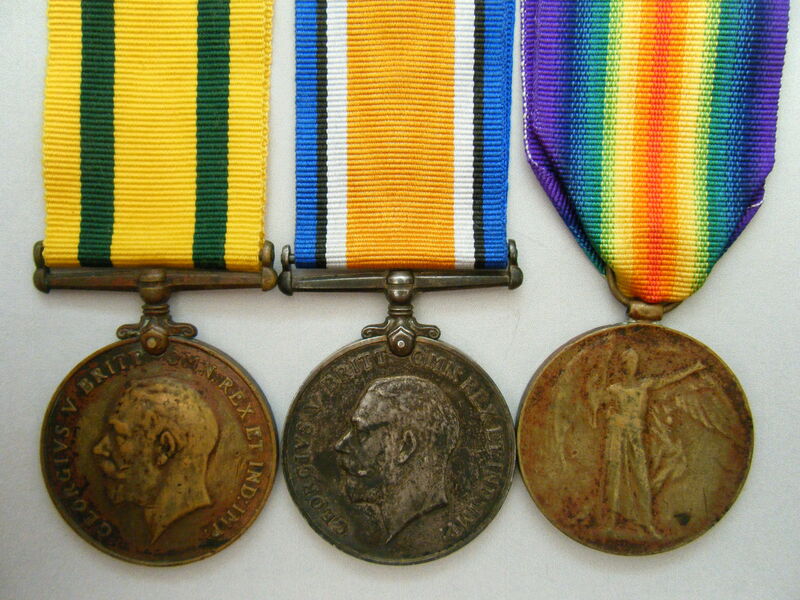 WW1 medal group awarded to 2118, (later) 240490, (then) 57755 Christopher Mac Cormick - Loyal North Lancashire Regiment. ONE OF ONLY 160 WHICH WERE ISSUED TO THIS REGIMENT. Territorial Medal named to 2118 PTE. C. MAC. CORMICK, L.N. LAN. R.
British War Medal - a gap filler - MIC confirms one was issued. Victory Medal named to 240490 PTE. C. MC. CORMICK, L.N. LAN. R.
Included with this listing is a printed copy of the Medal Index Card which mentions the spelling mistake and the correct spelling and references all three of the service numbers mentioned above. The MIC can also be viewed by clicking on here (if you have access to Ancestry). Using all different spellings of the name Christopher MacCormick and using all the different regimental numbers I have been unable to identify any service records relating to this man although his Territorial Medal Roll details can be found by clicking on here which indicates that he later served in the TA using service number 3848464. 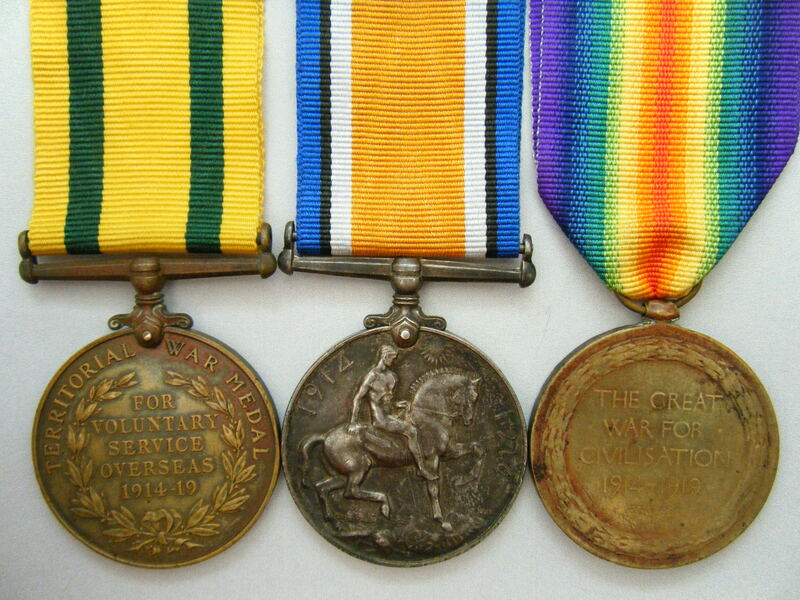 The regiment had a varied history during WW1, serving in Africa, Egypt, Gallipoli and France. Unit details can be viewed by clicking on here. PRICE £375 - please read the terms and conditions below. WW1 pair to Burns M.G.C.